Tauriga Sciences Inc (OTCMKTS:TAUG) investors should be excited given the surge in the stock price and the recent development regarding legal actions against its predecessor audit firm. The stock has almost doubled since the beginning of the year and surged 13%+ today on heavy volume. Almost 8 million shares traded hands today compared to its daily average of 0.7 million shares. The stock closed at $0.0039. In recent developments, Tauriga Sciences Inc (OTCMKTS:TAUG) has provided an update regarding its ongoing litigation its previous audit firm. . The lawsuit against Cowan Gunteski was initially filed by the TAUG on November 4, 2015 and subsequent to that there was a lengthy mediation process. In total, TAUG is seeking over $3 million in monetary awards for damages; however, this figure could increase as time elapses. On a positive note, Cowan Gunteski has insurance coverage for its malpractice. The company plans to proceed with going to trial; however, a settlement may be the most likely outcome. In other developments, TAUG has announced that it has signed an engagement letter with a new independent auditing firm. It hopes to become a fully reporting company in the next several months by filing 10-Ks with SEC with the help of the independent auditing firm. TAUG has been forced to re-audit its financial statements due to its ongoing litigation with prior auditing firm. It hopes by updating and filing with SEC it can up-list to a more senior exchange to gain access to more liquidity and more favorable financing. TAUG is currently trading at a $4 million market valuation. The company has provided an update regarding its pending legal actions against its prior audit firm. A settlement could net the company significant monetary compensation for damages. 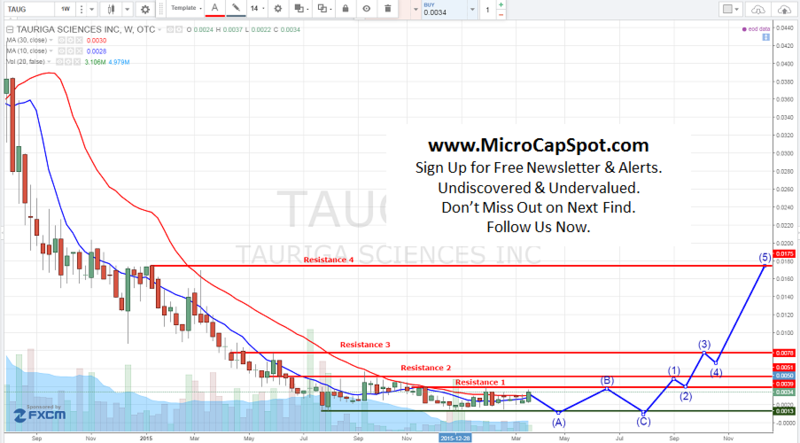 We will be updating on TAUG when more details emerge so make sure you are subscribed to Microcapspot so you know what’s going on with TAUG. Disclosure: we hold no position in TAUG either long or short at the publication of this article and we have not been compensated for this article.